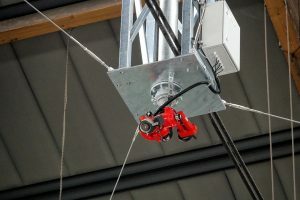 At the MGG Metrec plant in Amstetten, a new automatic extinguishing system was successfully tested. This system is mainly used for combatting the fire hazard posed by lithium-ion batteries in old electronic equipment. The fact that mobile phones and other electrical devices suddenly start to burn is something you hear and read over and over again. The reason for this is often the lithium-ion rechargeable batteries used, which begin to burn quickly when mechanically damaged. It may even be enough for the electronic device to simply fall to the ground. Accumulators and batteries are and should therefore be removed when these devices are collected in the waste yards. Despite all the precautions taken, such a battery can accidentally be overlooked and become a potential cause of fire in recycled materials. The Müller-Guttenbrunn Group (MGG), which processes thousands of tons of electrical and electronic scrap every year, is also aware of this. 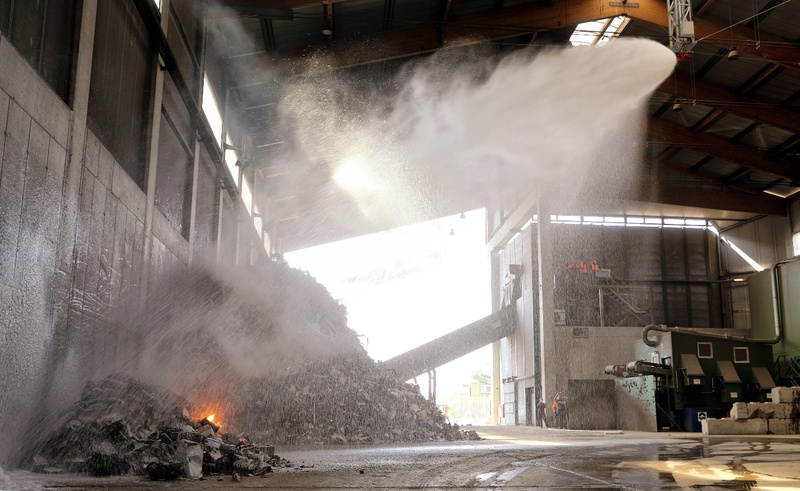 As early as 2014, a fire alarm system was therefore installed in the shredder hall for electronic scrap at the MGG Metrec plant in Amstetten. This system was now supplemented with an automatic extinguishing system. “Now we have a fire engine hanging from the roof of the hall,” smiles MGG Metrec managing director Michael Grimm. 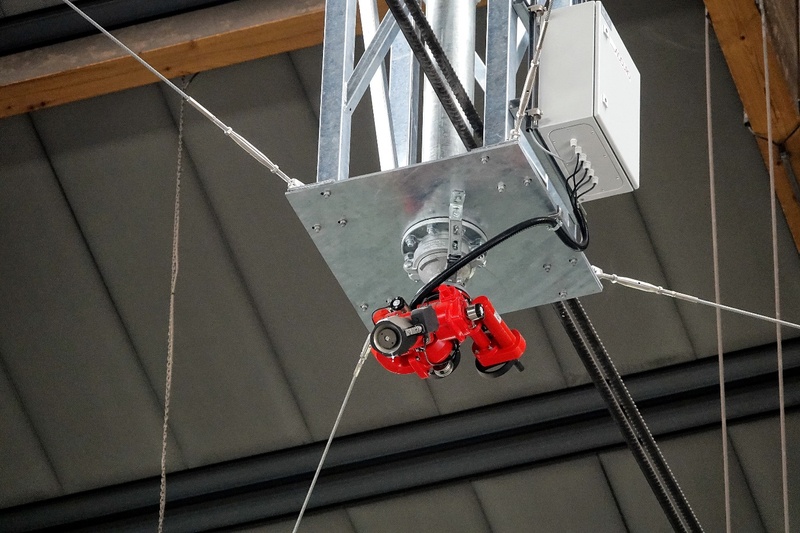 “The new system automatically detects when a fire should break out in the hall and combats it immediately with a water-foam mixture”. This enables the fire brigade to contain or even extinguish the fire during the time it takes to move in with the first extinguishing vehicle after the fire alarm.